Designing, Wood Choice, Carving Process, Painting and Detailing. Click a picture to enlarge the photograph. I sketch lots of ideas and choose the best ones to develop. Most of my ideas spring from my imagination. Inspiration also comes from classic children's books. Beatrix Potter's Jeremy Fisher Frog, and her Jemima Puddle Duck with the foxy whiskered gentleman (see custom work) and characters from Kenneth Grahame's The Wind in the Willows are examples. 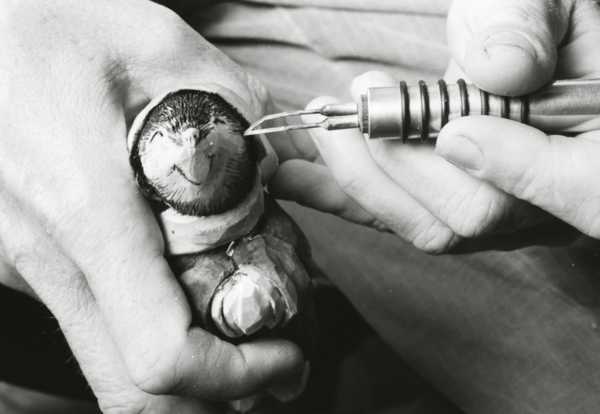 (See small sculptures, moles). 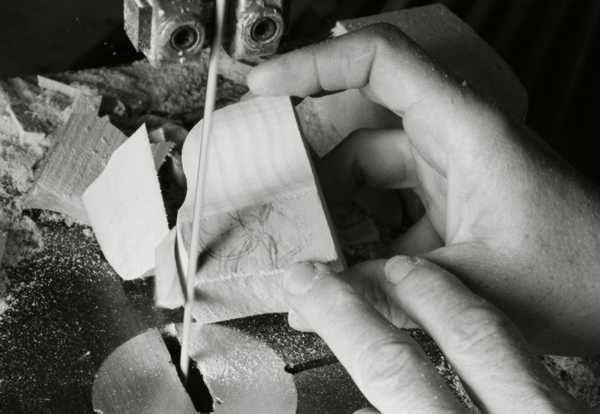 The design process continues all the way through the carving and finishing progresses. 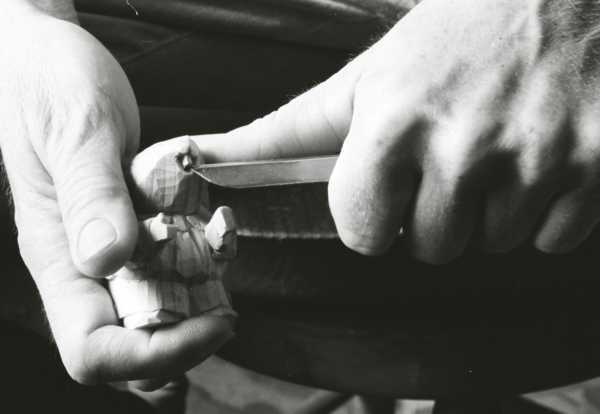 Wood choice for carving is a matter of personal preference and availability. Northern white pine, basswood and occasionally cedar are my choices. Basswood is the first choice of many carvers. Basswood is a tighter grained and more consistent wood. Each tree grows differently, so even within a species, all boards are not created equal. In general pine tends to be more unpredictable and chip-out prone than basswood and fine detail has to be done with care. However, I prefer its greater variety and character. No matter what other woods I try, I always come back to pine. I especially love the sound and vibration the knife makes while I am carving pine. There are many ways to carve. I do 95% of my carving with just a simple X‑acto # 36 long-blade knife. As I carve I imagine the finished piece and keep removing wood to achieve that image. There are many aspects of the physical act of carving that I really like. Each individual cut in the process has a life of it's own, contributing to the whole. It is an enjoyable activity that after thirty years is still very interesting. 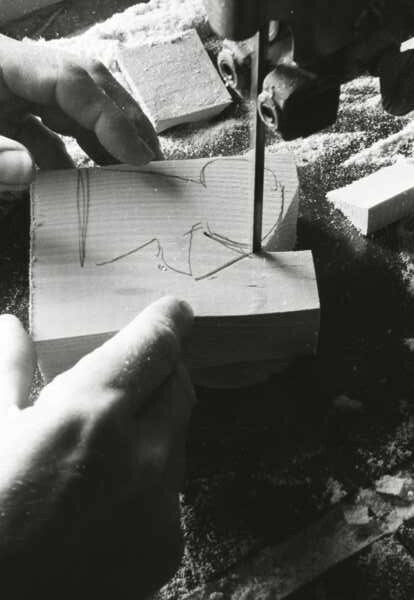 The carving process takes only about half of the total time it takes to complete a piece. 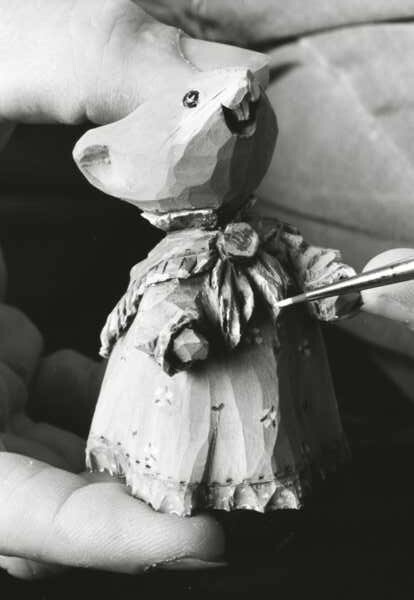 It takes quite a bit of effort to get from the completed carved stage to the painted and finished character. As I proceed with the detailing and finishing, I do the part I am most sure of and then see how it affects the next decision. I usually begin with the outline wood-burning and applying the base coat of colors. I am continually making decisions about clothing details, texture, color combinations and patterns as I go along. I use a variety of inks, paints, colored pencils, as well as wood burning, to achieve the desired look. The eyes are often redone many times to get them just right. Layers and layers of paint give them a raised look. When finished, they coated with clear nail polish to give them sparkle. If there is a ladybug on a carving a drop of hot glue forms the ladybug's body which is then coated with red nail polish and when dry the black dots are painted with acrylic paint. 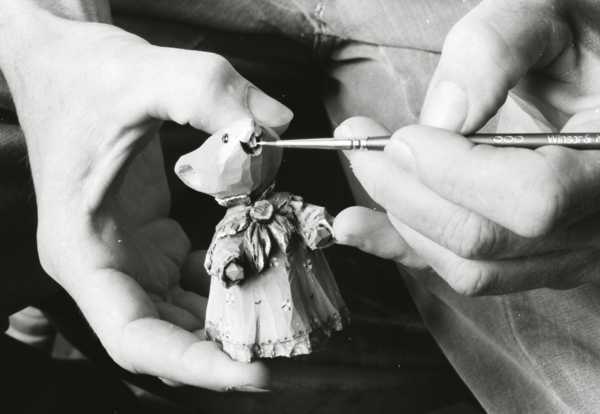 As each face develops, and details are added to the clothing, the personality of the character begins to take over, and each piece comes to life. A piece of wood has become a carving. Content Copyright � 2007 L Nichols Woodcarving, website by OMKT-LLC. All rights reserved. Revised: September 16, 2018 09:51:30 AM.